Dr. Roger Brissenden is Deputy Director of the Harvard-Smithsonian Center for Astrophysics. He also serves as Manager of the Chandra X-ray Center and Flight Director for the Chandra X-ray Observatory mission. Brissenden joined SAO in 1990 and from 1993 supervised the development, testing and operation of the Science Center and the Chandra Observatory's Operations Control Center. As Flight Director he is responsible for the operation of the Chandra mission, an orbiting X-ray telescope, and one of NASA's four great observatories. Brissenden's scientific interests include broad-band spectral energy distributions of extra-galactic X-ray sources and developing the foundations for the next generation of X-ray telescopes. 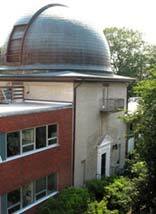 Brissenden is an Associate of the Harvard College Observatory, a member of the American Astronomical Society, and is Chair or member of a number of committees that review the operations of present and future Space Science missions. His awards include the NASA Distinguished Public Service Medal and the "Silver Snoopy" the personal award of the Space Shuttle crew for contributions to mission safety. He earned a B.Sc., (First Class Honors) in Physics from the University of Adelaide, Australia (1985), and a Ph.D. in Astronomy from the Australian National University (1990).